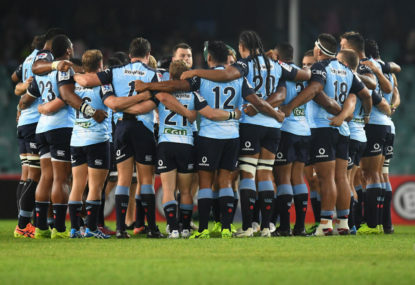 Before play began, the players from the NSW Waratahs and the Western Force Super Rugby teams formed two circles to honour, with silence and bowed heads, the memory of Daniel Vickerman. The silence of the circle was broken as the players broke away to take their positions on the field. When the crowd clapped, their applause was for a man few of them knew but all of them admired. The silence on these occasions, I always think, is for us, the survivors. We try to make some sense out of an action that seems, in Daniel Vickerman’s case, to be beyond any meaning or understanding. The applause was for Daniel Vickerman. For ‘Vicks’, the tough, uncompromising enforcer who never flinched when the battle on the field got its toughest. He was a player of physical strength and strength of character who seemed to take it upon himself to try to lift his team when the game started to turn against them. He was inspirational to his teammates when inspiration was desperately needed. The crowd, it seemed to me, wanted to make one final acknowledgment of their pleasure they got from seeing his fearless and passionate play. And so they spontaneously broke out into that most generous of sounds, hands clapping in restrained but heart-felt unison. Over the course of the last week there have been thousands of words written by writers trying to come to terms with an event which shocked and surprised the rugby world and has forced it to start thinking hard about its implications for players and for the management of the game. Clearly, though, the transition was not made. These are very important questions. They go to the heart of the matter. 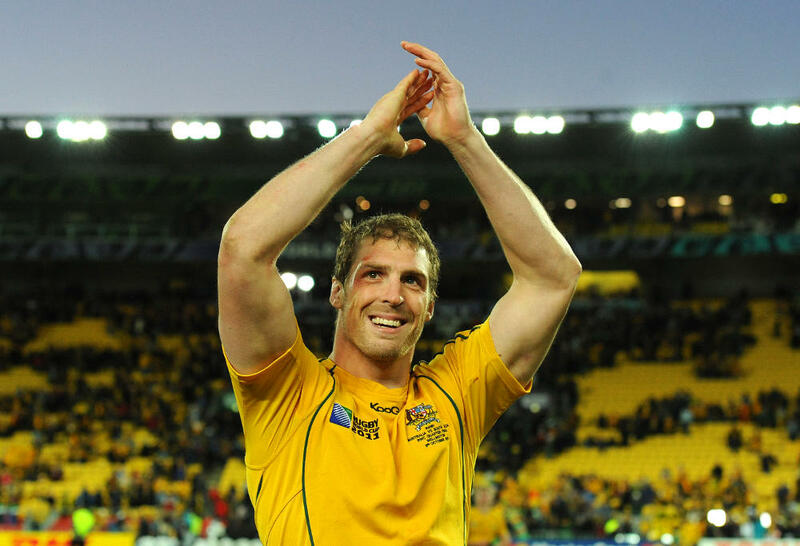 If there is anything good that can come from Daniel Vickerman’s death it must be that the rugby authorities around the world have to start understanding that glory and some money are not enough compensation for the broken bones and (often) the mental trauma that the professional player experiences to establish and consolidate his career. We (and I include rugby writers like myself in all of this) have too often cherished the notion that the glory itself, transitory and difficult as it often is, is a just reward for attaining the highest performance levels of the game. A.E.Housman’s plangent poem, ‘To an Athlete Dying Young’, has beguiled us into accepting that the transitory fame achieved by a great player is somehow an ultimate reward, no matter what happens later to him in life. This Corinthian view of sport is a thing of the past, if it was ever a valid notion, anyway. If having a splendid rugby career is somehow a death sentence involving depression, drug-use or over-use of supplements like creatine, then it can’t be worth the blazing candle of fame. In the case of rugby, then, a sport that was only made professional in 1996, there is a great deal of work that needs to be done to make the game safer for the players, on and off the field. Two writers in New Zealand, Mark Reason and Phil Gifford (in my view the best writer on rugby in NZ), have provided some graphic details about how the legal food supplement creatine can create all sorts of health difficulties, short term and long term, if it is abused. Gifford reported on how the thoughtful All Black Mark Brewer believed that creatine had too many similarities with steroids for his liking, so he never used it even when it was widely used and over-used in the early days of professional rugby. Another player told Gifford that he developed massive thighs that caused a succession of hamstring problems for him until he stopped taking the dosages ordered by his team’s fitness trainer. The point here is that rugby officials must be ruthless with their annual check-ups on professionals and school-age players to ensure that they don’t compromise their health, short and long-term, in the pursuit of Housman’s laurel wreath of glory. There was an interesting story by the SMH’s Tom Decent – ‘Waratahs debutant Simone says the sacrifice and tough times worth it‘ – before the Waratahs-Force match that indicates the Australian authorities are starting to be on the ball in providing guidance for players who could be susceptible to depression. Simone was given a chance to play rugby for the Norths side, where he starred in the team that won the Shute Shield after a 41-year drought. He became the NRC Player of the Year. And on Saturday night played at inside centre for the Waratahs in their tough victory over the Force. The opening round was somewhat disappointing for the Australian teams. The Rebels were overwhelmed by the Blues 56–18. The Reds scrapped through against the Sharks 28–26. The Brumbies were resilient but far too dour, except for one fantastic ensemble try, in going down to the Crusaders 17–13. Neither the Waratahs (19) nor the Western Force (13) showed much skill in their mistake-ridden clash. Will Skelton looked fit and powerful in his play. 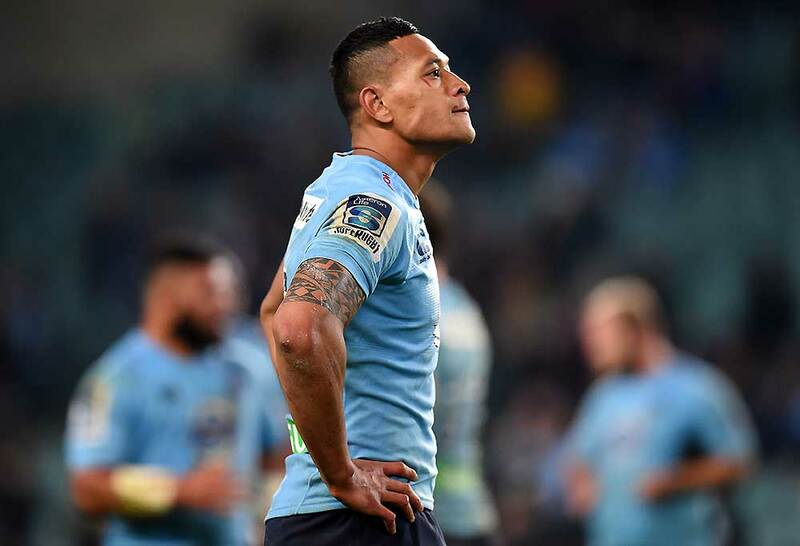 But Israel Folau, alarmingly, carried for only 11 metres in the first 70 minutes of play! My match of the round was the Stormers-Bulls 37-24 clash at Newlands before a partisan, vocal crowd. Cheslin Kolbe, playing on the wing, showed that being the smallest player on the field was no impediment to him being the best back going around. The Stormers had a pack that demolished the Bulls in the scrums and backs who were prepared to launch break-outs, New Zealand-style, from inside their own 22. Life is the great relevancy. This is the message that should resonate in this week when the death of Daniel Vickerman cast its shadow over the first week of Super Rugby 2017.